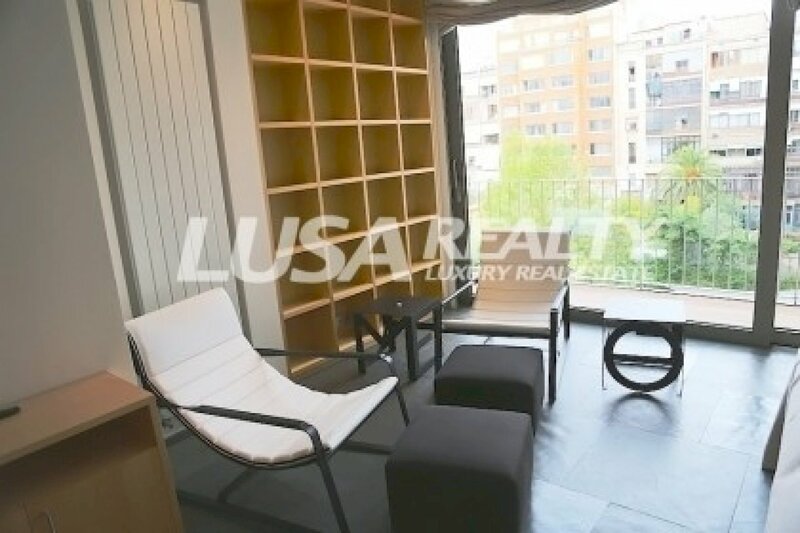 Newly renovated penthouse for sale on Rambla Catalunya. This is one of the most remarkable streets of the Right Eixample area. Here you can find many shops of famous brands, restaurants, bars, sports clubs, banks, farmacies etc. 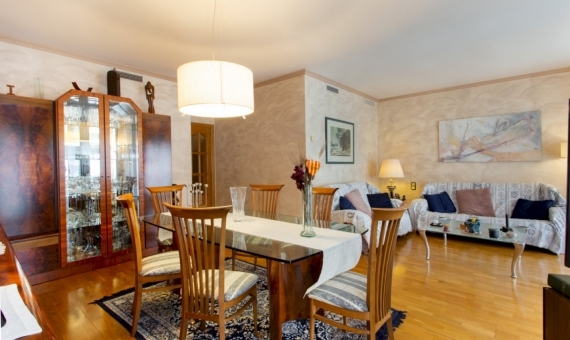 You can reach the main attractions of the city on foot or by public transport. The penthouse has 221 m2 of construction area, distributed over two floors + 70 m2 terrace with summer furniture, chill out zone, shower and possibility of Jacuzzi. 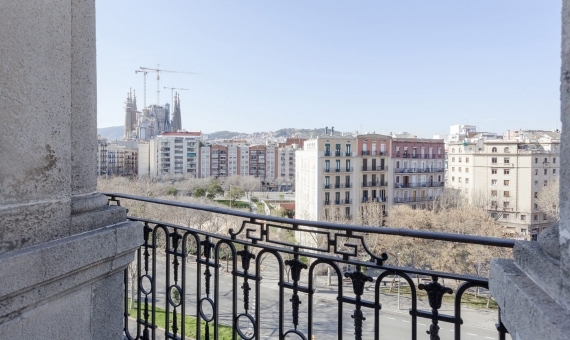 The terrace offers views of Barcelona’s emblematic buildings: Sagrada Familia, La Pedrera, Torre Agabar, Hotel W, Tibidabo. 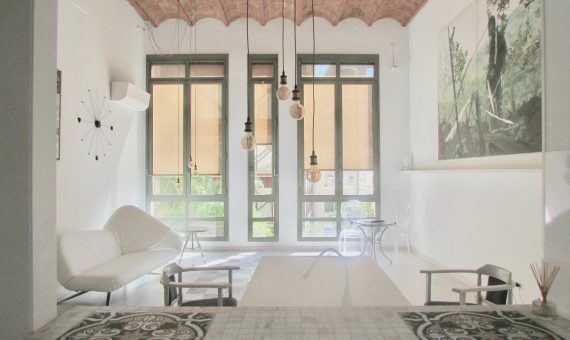 The lower level has a spacious living room of 72 m2 with a dining area, with access to the terrace. Due to its high ceilings of 6 meters and panoramic windows, the room is filled with light and offers magnificent views of Barcelona. There is furniture of famous Italian manufacturers: a sofa and a coffee table DePadova, wooden armchairs and a marble green table by Porro. An open kitchen, fully equipped with Gaggenau and Neff appliances, has white marble counters, Gunni & Trentino furniture, and access to the living room; there is also a utility room. The lower level features a master suite with a bathroom and a spacious dressing room, with access to the terrace. The upper level is occupied by two double bedrooms suites with a bathroom and dressing room. 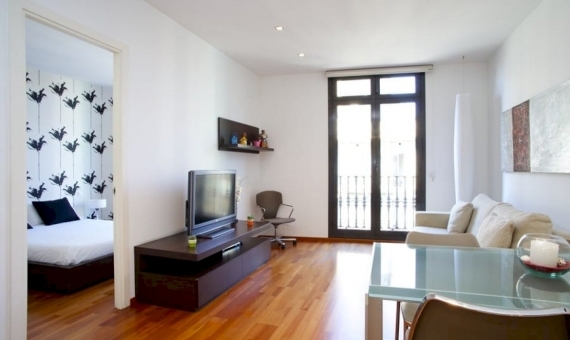 Natural oak laminate parquet floor, air conditioning, gas boiler, LEDs in the terrace.